Don't you just love going to the mailbox and finding something unexpected tucked among all the other boring mail? 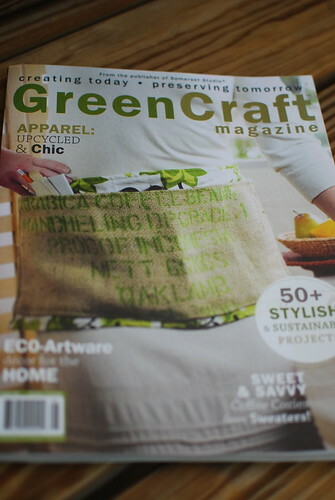 Well, my GreenCraft magazine was in the mailbox yesterday. Yeah, how exciting, right? This magazine is jam packed with some awesome projects and ideas. I feel so honored that my cozies are included among them. I also completed a custom order this week. That is so very awesome that your cozys are in there! I've never heard of the magazine, but I think I would totally dig it! 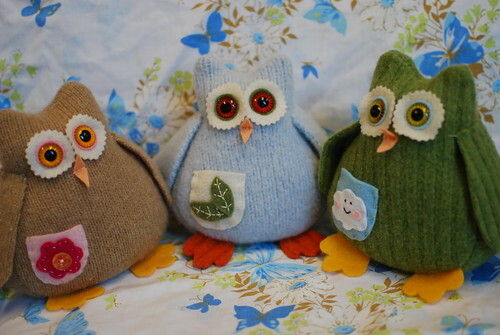 And the owls...they are just too much. Em picked out an owl lunchbox for her first foray into eating lunch at school this fall! Apparently my owl infatuation has migrated to her, too! Awesome seems to be the word for this and I can't think of anything clever to add to it ;) I'm sooo happy for you though! I'm gonna have to go to the bookstore and see if I can get myself a copy of this. That is so stinkin' aweosme - published for the SECOND time now!! So cool. And those owls are just too dang adorable. 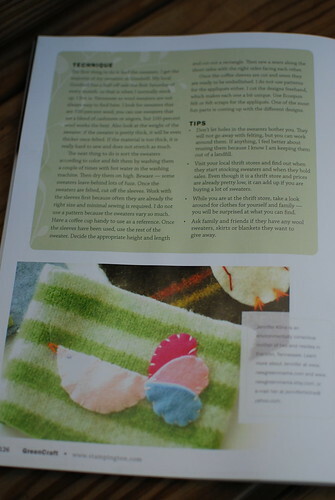 I was just reading this with my 7 year old and she said OH MOM those owls are so cute! and I said OH THEY ARE NOT JUST CUTE, they are on our dining room table! Shhhhh....I promise to send pictures when the mommas all open them!!! And my 7 year old is very miffed that SHE is not getting one. How awesome! Congratulations - you deserve it! A HUGE congrats -- that is so awesome! h00t! h00t!! That's so awesome. Congrats. I love your green crafts!! 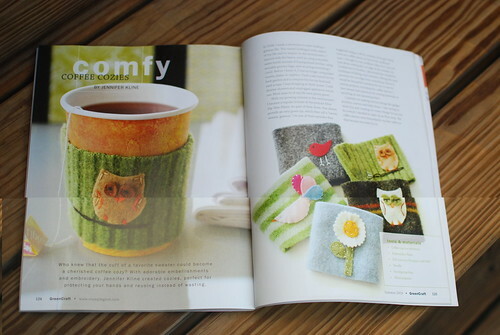 Congratulations to you for having your coffee cozies featured in Green Craft! They are awesome!